With the publication of the second volume, ‘Gandhi: The Years that Changed the World’, Ramachandra Guha has completed a mammoth biography of the Mahatma. It is set to become the first choice for readers wishing to know more, thanks to Guha’s exhaustive research, fresh source material, and fine writing. 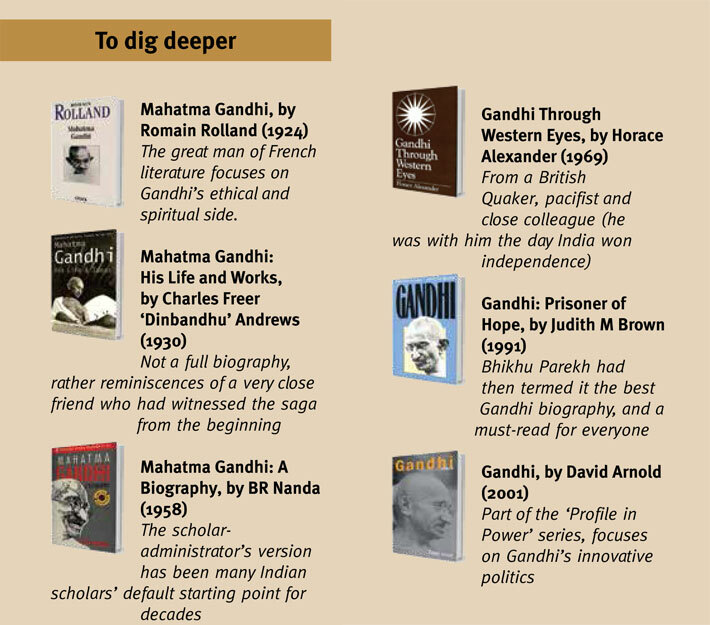 The publication provides an occasion to take stock of Gandhi biographies. While there are more than 200 of them by one estimate, here is a short guide to the more notable ones among them. The very first biography of Gandhi, published in 1907 when he was not yet 40. It is written by a missionary who was attracted to the Christian aspects of Gandhi’s work in South Africa. Thus, this was the first attempt to look at Gandhi as a modern-day Christ, something that has persisted in the West (for example, in Richard Attenborough’s Gandhi, according to Salman Rushdie). In close to 200 pages, Docke narrates Gandhi’s childhood, London days, and various campaigns in Africa, concluding with a chapter on his religious views and practices. After independence and after Gandhi’s assassination, this was among Nehru’s first initiatives to commemorate the Mahatma. (The ambitious project of the Collected Works of Mahatma Gandhi was to follow soon.) Brought out by the Publications Division of the government of India during 1951-54, this is a mammoth work by any standards. 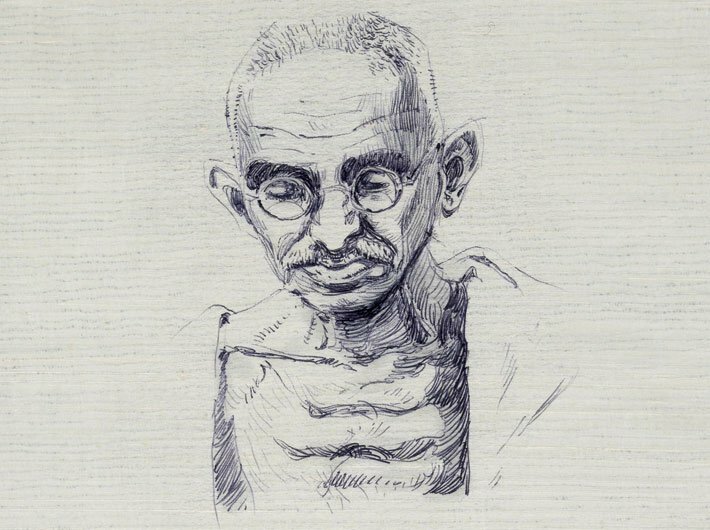 The author, a Gandhian, draws on his own interactions and correspondence with Gandhi over the years. Nehru wrote in the preface, “It brings together more facts and data about Gandhi than any book that I know.” The work, however, predictably shies away from critical evaluation or interpretation, and mostly lets Gandhi talk for himself through original source material. These days, its volumes are not easy to find and should be considered for a new edition. Pyarelal, Gandhi’s personal secretary after Mahadev Desai’s demise, wrote a two-volume, three-book work, ‘Mahatma Gandhi: Last Phase’. This was the most authentic source for those most eventful years, for Gandhi as well as the nation: the pre-partition negotiations, partition, communal violence, Gandhi’s work to douse the fires in Noakhali, his ‘epic’ fast. Pyarelal then proceeded to write ‘Mahatma Gandhi: Early Phase’, and brought new sources to light for information on Gandhi’s childhood days. His sister, Sushila Nayyar, who also served as a physician to Gandhi, joined in and wrote ‘Middle Phase’. Since, it is the longest biography of Gandhi as such, reading the total work over ten volumes gives an incomparable feeling of bearing witness to this unusual life. Published in 1968, this was one of the earliest scholarly works on Gandhi from the West. It engages with the subject with a critical eye, using interpretative ways with a skeptical attitude to sift facts and myths. This magnum opus (2007), it seems, revived for the twenty-first century the practice of engaging with Gandhi’s life. He had earlier published a relatively shorter but no less ambitious work, ‘The Good Boatman’, presenting a “portrait” of Gandhi (apart from biographies of Sardar Patel, C Rajagopalachari and Khan Abdul Gaffar Khan). It was ‘Mohandas’, however, that attracted publicity and new-generation readers too. When others have happily churned hagiographies, it is to Rajmohan Gandhi’s credit that he resisted the temptation and chronicled his grandfather’s life with a thoroughly critical attitude. As a result, the scholar-historian did not shy away from narrating some sensitive details that others chose to ignore. For a single-volume work, there is no better Gandhi biography. Narayanbhai was the tallest Gandhian in post-independence India. The only son of Mahadev Desai spent his childhood close to Gandhi. Unlike the grandson, Desai could not create the necessary distance to attain objectivity, but the result shows the fine line between hagiography and heartfelt appreciation. The four-volume work in original (Maru Jivan E J Mari Vani, 2004) is a veritable milestone in Gujarati literature. The volumes are titled Sadhana, Satyagraha, Satyapath and Svarpan. While all biographers have given a short shrift to ‘Ekadash Vrat’, or the Eleven Vows, so crucial to Gandhi’s self-formation, Desai always keeps it in focus. Though he was well into his eighties, Desai complemented the work with innovative ‘Gandhi Katha’ in the tradition of Ramayana narration, across the country and abroad. The English translation (by Tridip Suhrud, Orient BlackSwan, 2009) is arguably the most magisterial work on Gandhi, the one biography to which all others will be compared.